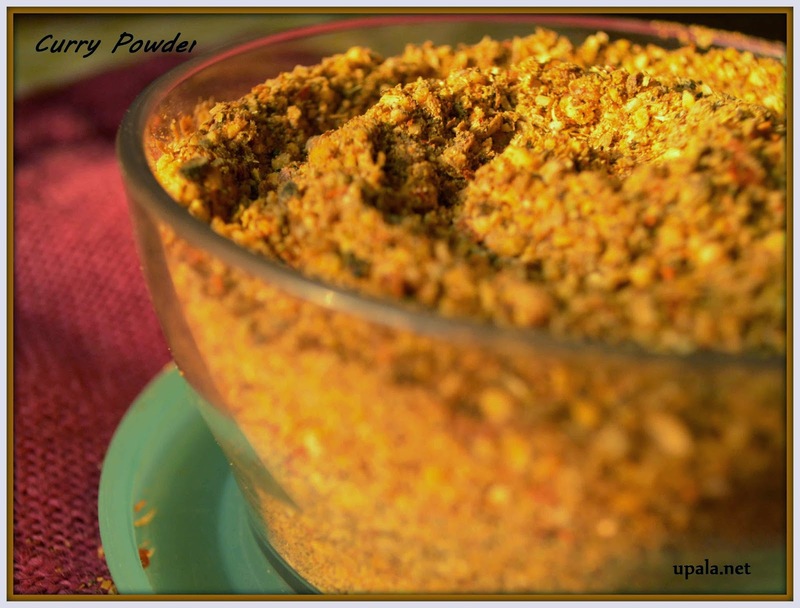 This multipurpose curry powder comes handy to add to sambar, any veggie fry like brinjal curry , pavakkai poriyal, koottu varieties, puliyodarai, lemon rice and many more. It gives extra flavour to your dishes. Main advantage with this powder is that you can prepare this powder in bulk quantity and store it in an airtight container and stays good for 2-3 months. 1) Heat oil in a kadai and add Asafoetida and Red chillies, sauté them in a low flame for few secs. 2) Now add Coriander seeds and sauté again till nice aroma arises and it starts crackle. Transfer them to a plate. 3) In the same kadai, add Urad dal and Bengal gram to dry roast till dals turn light brown in colour. Transfer them to the same plate. 4) Let this mixture get cooled, them grind it coarsely. 1) I recently tried the same powder with black colour split urad dal (with outer black skin), it was the same and I couldn't find any difference. It is always better to replace the polished ones with whole ones to get more nutrition. 2) Also another variation is adding half byadagi mirchi and half normal red chillies in ratio of 3:3. Byadagi chilli gives red colour to curry powder and it is less spicy as well. 3) You can also add curry leaves and it gives nice flavour. Add 1 cup of Curry leaves to kadai after step 3 and leave it to stay on it. Heat of kadai is enough for curry leaves to get crisp. Then grind it along with other ingredients.